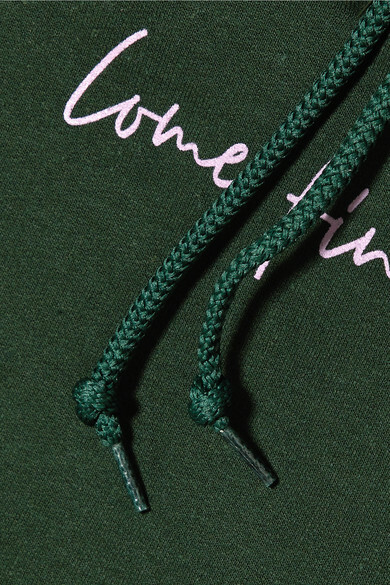 Paradised's hoodie is printed with the words 'Come Find Me' at the front - a nod to the brand's carefree and playful attitude. 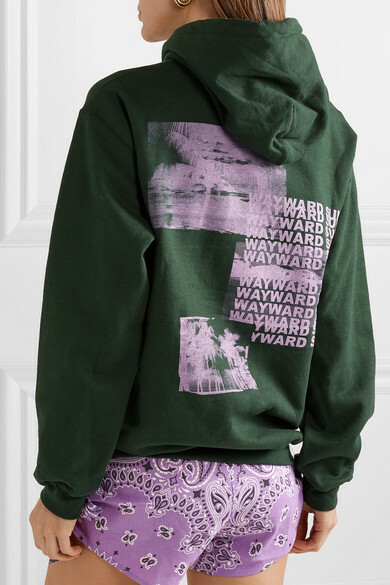 Cut from cozy cotton-blend fleece, it has a relaxed fit and turns to reveal a lilac graphic of pixelated palm trees and the phrase 'Wayward Sun' on repeat. 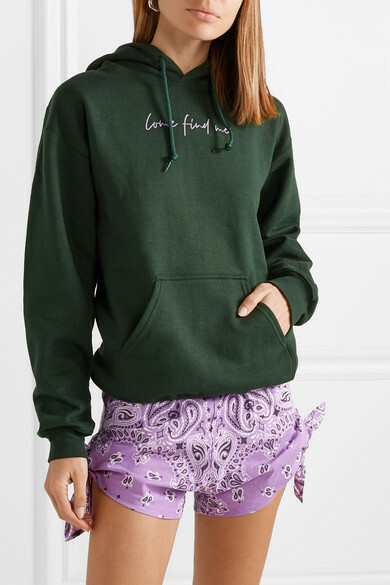 Shown here with: Paradised Shorts, Alienina Shoulder bag, Golden Goose Deluxe Brand Sneakers, Leigh Miller Earrings.